Episode 10 – My Bounce Rate is Really High – What Can I do About it? Episode 10 I provide the answers or advice to 5 of the most common digital marketing questions I get asked by construction marketers, business owners and clients. If you have any tips related to the questions then please do leave a comment below and I’ll be happy to tweet them from the CMPodcast twitter account. 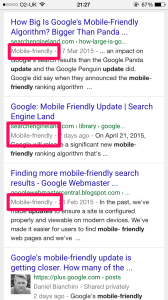 Episode 9 – Google Mobile Friendly Algorithm Update – Should You Care? Welcome to episode 9 of Construction Marketing Podcast where I share some advice, hints and tips around the latest Google algorithm update which is focused on providing its users with mobile friendly sites in search results pages. 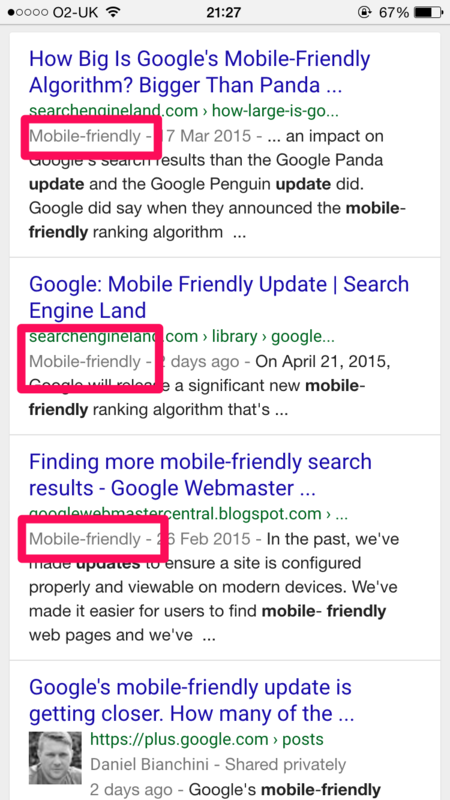 Basically, mobile friendly sites will see a boost in rankings and non-mobile friendly sites will see pages demoted from search results on a mobile. So have a listen and hopefully it will provide you with enough info to put a plan of action together if you don’t have a mobile friendly site and if you do – then to watch the numbers grow in Analytics. You can also listen to the podcast below (click on play) or by subscribing via iTunes. In episode 8 of Construction Marketing Podcast I’m joined by Craig Sewell who is Brand and Marketing Director for Cubicle Centre. I’ve been following Craig for a while on Twitter and first met him at an event last year called Measurefest where we both shared some great insight into the world of marketing in construction whilst sipping on a beer or two. We both share very similar interests in digital marketing and I know Craig is very much an early adopter of technology in marketing as well as getting involved in the BIM community. Craig has also presented at BIM Show Live at shares a lot of knowledge in the area of BIM from a manufacturers point of view. Craig has been there and done that! I secretly love Craig. He’s my kinda, no-nonsense marketer. More recently, Craig has just built his own website using WordPress and featuring on his website is a wonderful resource which he has called “Full Stack Marketing Toolkit“. So I decided to speak to Craig about this toolkit and how it’s helped him create his own website and re-develop the company website. He shares some wonderful advice on using such tools to help understand your website, monitor competitor activity as well as streamlining internal processes. You can reach Craig via Twitter here. In Episode 7 of Construction Marketing Podcast, I talk to Mike Reader, Head of Bidding and Proposals at Pick Everard and Leonie Thomas who is a freelance marketing consultant specialising bid writing. We discuss the topic of capturing project information to help with bidding and case study writing. Both Mike and Leonie share their experiences & knowledge in how to capture, extract and market project information. Joining me for episode 6 of Construction Marketing Podcast is Leonie Thomas who is a Freelance Bid Writer and Built Environment Blogger. Leonie brings 20 years of construction experience with her and we discuss the role of the Bid Writer and also what makes a successful bid. Leonie shares her experiences and views on bid preparation including ideas on building relationships with internal technical teams and understanding the client and what’s in it for them if they chose your bid. I really enjoyed discussing this topic with Leonie for two reasons. 1) It’s a topic out of my remit and I loved learning about it and 2) Both Leonie and I share similar views on marketing and the way things are going in the industry. 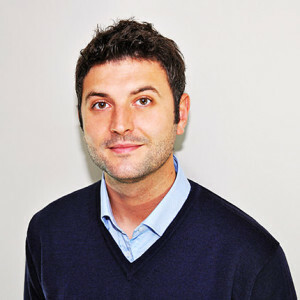 In this episode of Construction Marketing Podcast I’m joined by Ben Adam Smith, founder of video and audio production company Regen Media based in Hertfordshire. 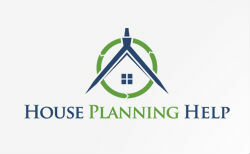 Ben also owns and runs a blog all about energy efficient homes called House Planning Help and you’ll also find some useful podcasts hosted by him too! Ben and I discuss content marketing in construction and Ben shares his ideas, thoughts and tips on how to get started and what to look out for once you’ve started. I share some tips on finding what content to produce and ensuring your content aligns with your brand positioning. In this episode of Construction Marketing Podcast I’m joined by Darren Lester, founder of the online building products platform, SpecifiedBy. Darren talks to us about how and why he started SpecifiedBy and how it is evolving itself into a product data directory and a social collaboration platform. In this episode I’m sharing with you web savvy marketers 10 things you should be measuring on your construction business website using Google Analytics and what sort of questions you should be looking to answer to inform you of your online marketing successes. Depending on the content on your website and if you’re a manufacturer or a contractor then what you measure will vary but I’ve tried to share as many ideas as possible. In this episode of Construction Marketing Podcast, I talk to Specification Manager and BIM Co-Ordinator Dan Pitkin of AluK GB Ltd about making BIM pay for the manufacturer. Dan enlightens us with his story following on from his blog post on the very subject and tells us about his own experiences of embracing BIM and making it a business activity for AluK Ltd. Dan provides his thoughts on how other manufacturers can adopt BIM, identifying some of the challenges and whether or not BIM gives you a competitive advantage over others. Episode 1 – Social Media for Construction Businesses – What Next? In this episode of Construction Marketing Podcast I’m discussing social media in construction and what businesses need to be thinking about next aside from the usual marketing activity with social media strategist, Su Butcher. We discuss how social media is and should be treated differently to other marketing channels and how social media will impact various departments within construction businesses such as customer relations, business development and investor relations. Stuart on Episode 9 – Google Mobile Friendly Algorithm Update – Should You Care? Pritesh Patel on Episode 1 – Social Media for Construction Businesses – What Next? Simon Dalley on Episode 1 – Social Media for Construction Businesses – What Next? Copyright © 2014 Construction Marketing Podcast. All Rights Reserved.